I had a bit of a panic attack this week. I went to request an interlibrary loan and computer said no! because it said that I had exceeded my limit. Did that mean I had exceeded my limit of ILLs out right now, or books out in total, or ILLs for the year and if so did it go on financial year or calendar year! Oh no, what would I do without interlibrary loans. Once I stopped freaking out, and returned a couple of books, including a couple of ILLs, it turned out I could request again so it seems I may have panicked unnecessarily but I was definitely panicking quite a lot at first! 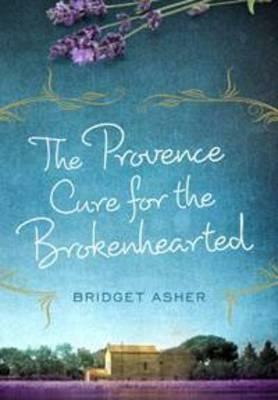 The Provence Cure for the Brokenhearted by Bridget Asher - I have been meaning to read this book for a couple of years now. I also still need to read Pure and Fuse which are written under a different name but are by this author! One day. Between the Lines by Tammara Webber - I recently read and loved Easy by this author, so time to read her other books! 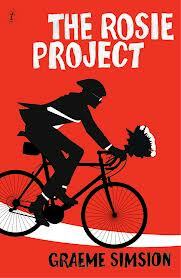 The Rosie Project by Graeme Simsion - Can't wait to read this book! Lots of buzz about it here at the moment! 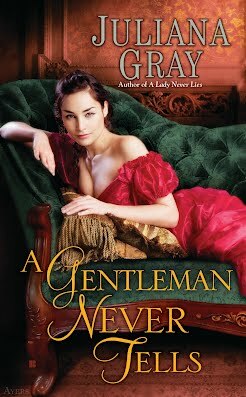 A Gentleman Never Tells by Juliana Gray - The next book in this series! Claire has Mr Linky this week so head over to her blog to share you Library Loot links. Nice variety! I need to check out The Provence Cure for the Brokenhearted. It sounds like a nice read! I hate it when that happens. You don't get enough information about why you can't check something out so you begin to think the worst. Enjoy your books! Think the worst which is also known as PANIC! I am really looking forward to The Rosie Project (my library's copies are all still showing 'on order'). Enjoy your loot! I am glad to see that this is one Australian book that is making a splash all around the world! I have heard that The Provence Cure for the Brokenhearted is a great book, and I got the chance to meet the author a couple of years ago at SIBA. I just got Fuse in the mail today, and have Pure waiting for me to get to it, so I should do that! I am eager to hear what you have to say about this one. She writes so much under so many names. Glad I don't have to worry about remembering all those identities. I was reading about The Rosie Project earlier this week - it sounds great fun. Happy reading! It does sound like a lot of fun. I am looking forward to readimg it! We can only have fifteen holds on our system - and I've tried to exceed that as well. I know the feeling of panic. The books you picked up look great! We have 20 which should be more than enough! What's The Rosie Project about? Look forward to your thoughts on it. On a very superficial level it is about a man who creates a list of attributes of the perfect woman for him and then meets Rosie. The Provence Cure was a lovely read!